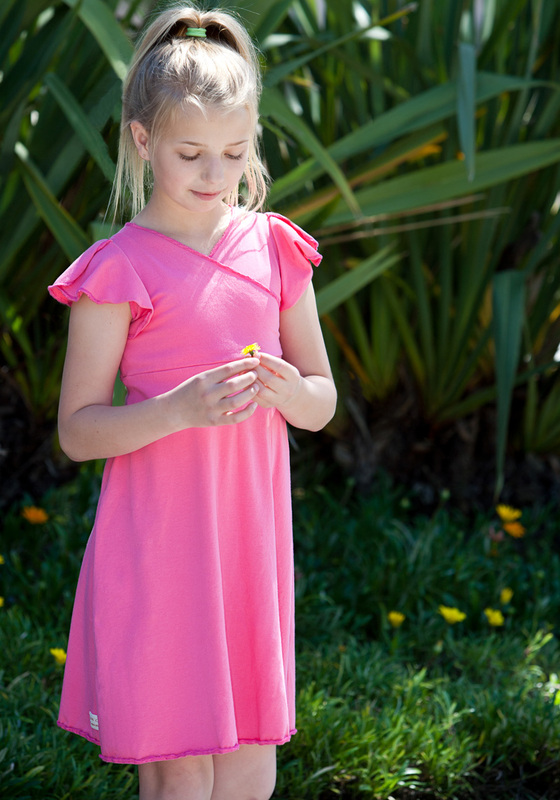 The Girl's Fairie Dress is such a sweet compliment to your child's organic dresses. She will LOVE it and want to sleep in it as it feels so delicious. Features: A criss cross top area with cute little fairie tulip sleeves, a seam separating the top and bottom dress falling to just above her knees.